A picture of the new Wildcard, which features a new design and “smart card” technology. 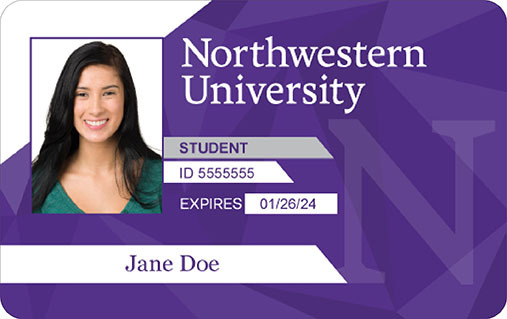 The card, which administrators say will make Northwestern more secure, will replace conventional dorm keys in four to five years. Students will be able to enter some dorms this fall using a redesigned Wildcard, one which University administrators say reflects Northwestern’s new visual identity and marks a shift away from conventional security. The cards, equipped with computer chips that grant access to “secured campus facilities,” will be issued to all new students, faculty and staff beginning Aug. 1, associate provost for academic initiatives Jake Julia said. He added the Wildcard was long overdue for a redesign and that the inclusion of “smart card” technology “unequivocally” symbolized a new means of access on campus. In the fall, four residential buildings — Allison Hall, Shepard Residential College, 1838 Chicago and Goodrich House — will take advantage of the new “access control” system. Residents of the four dorms will use their Wildcards to enter both public spaces and private rooms, a change Riel said would make the campus more secure. In addition, students who live in any of the newly renovated South Campus dorms will be able to use their Wildcards to move “seamlessly” through each building. Previously, key swabs only allowed entrance into a student’s own living space. Plans for the Wildcard redesign began last year, when Julia said a group of representatives from the Wildcard Office, Student Affairs and Global Marketing was formed to gather input from the community.